Denim trousers are great for brunch with the girls, running errands with you mother-in-law or keeping casual Friday office appropriate! Pretty much any situation that calls for looking casual yet tailored and put together. And with the 70s fashion revival going on, they fit right in! 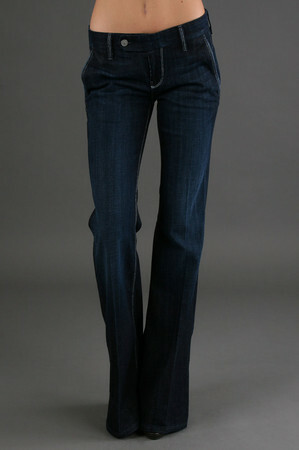 Buy this 7 4 All Mankind pair at Couture Candy for $178.